We hope you'll see from this sample of clients we already assist that, whether you're an iconic fashion brands or a sporting institution, a global charity or a giant multinational, Wave can offer a branded merchandising solution tailored to suit your needs. 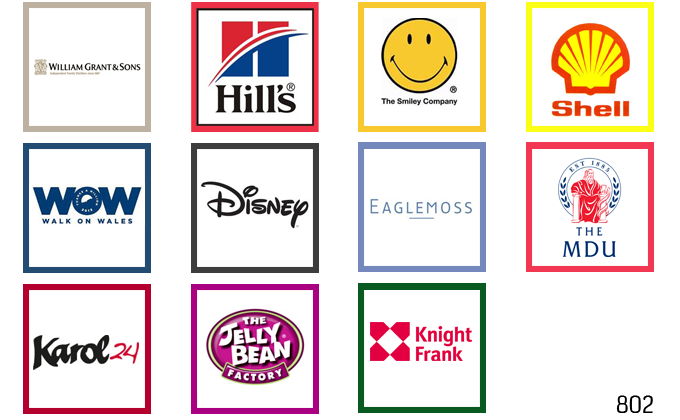 As diverse as this range of companies is, all have sought our assistance and continue to work with us for the same reason; our ability to deliver a bespoke service by engaging our talents, experience and expertise to develop and manufacture timely, targeted products that drive business forward by increasing profitability through better brand awareness. At Wave Creations we believe that whoever you are, we are the best people to help you achieve that goal.